What's the "theoretical minimum" for thinking intelligently about modern physics? Here's your chance to find out. 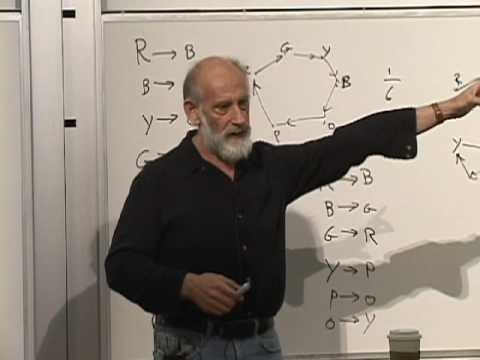 Below, you will find three courses (the first of eventually six) presented by Leonard Susskind, a Stanford physicist who helped conceptualize string theory and has waged a long-running "Black Hole War" with Stephen Hawking (see his new book on that subject here). Freely available on iTunes and YouTube (see below), these video lectures trace the beginnings of modern theoretical physics, taking you from Isaac Newton (or Newtonian Mechanics) to Albert Einstein's work on the general and special theories of relativity. Notably, these courses were originally presented within Stanford's Continuing Studies program, which means that the content was pitched to an audience much like you -- that is, smart people who don't necessarily have an extensive knowledge of physics. Watch the video below -- the first lecture that kicks off the series of courses -- and you will see what I mean. Finally, in case you're wondering, the next three courses (covering quantum mechanics, electromagnetism, cosmology, black holes, and more) will be presented this coming academic year and, once taped, we will give you a heads up. Sign up for our RSS Feed and you will be sure to get an update. Also see our collection of Free Online Courses for many more courses along these lines. I use http://rg3.github.com/youtube-dl/ to download videos from YouTube. Works great! Prof. Susskind is an amazing lecturer. No wonder he won JJ Sakurai prize. I am not an native English speaker, but the way he speak is easy to be understood. Many thanks Professor. Can I get these lectures on dvd? Is the Quantum Mechanics Course by Dr. Leonard Susskind available on dvd? creating the surrounding to be in a less energy” tempreture state”. Are there assignments to go with the lectures? What is the magnetic Mono-pole like? ႊ့ႊႊDoes the God play the Dice Every day? electrons all over the place.